In case you missed it during all the excitement surrounding last month’s impending Black Friday deals, Microsoft inconspicuously released the long-awaited Chatpad for Xbox One and Windows 10 in mid-November. Actually, there’s a pretty good chance you did miss it, as the $40 CAD peripheral was only available at first via online purchase at MicrosoftStore.ca and Amazon, and then trickled out to brick and mortar retailers such as EB Games and Best Buy several days later with next to no fanfare. And just as it was with the Xbox 360 Chatpad that launched as part of the “Messenger Kit” back in 2007, there’s also a good chance that most Xbox One gamers will take one look at this controller accessory, shake their heads in confusion and ask “why?” After all, with the proliferation of second-screen companion apps among this generation of games and Microsoft’s own SmartGlass app enabling gamers to control and type on their Xbox One using their smartphone or tablet’s native touchscreen interface, having a miniature keyboard attached to your Xbox One controller might seem a bit redundant. Well, stuff all that noise, because there is a large segment of the Xbox One install base that is bound to find this gadget indispensable. 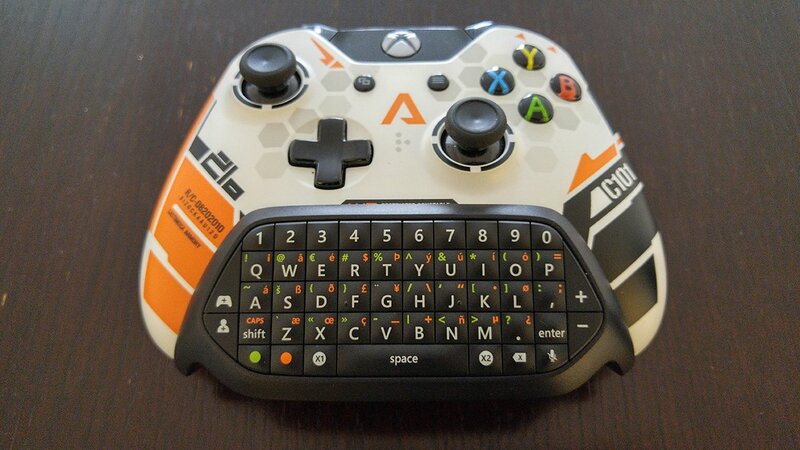 At first glance, the Xbox One Chatpad appears almost indistinguishable from its last-gen predecessor, closely mimicking the former’s QWERTY button layout, top number row, and including the ever-handy orange and green ALT keys for locking-in All Caps or inputting symbols (e.g. accents, parentheses). A closer look however will reveal a number of nifty enhancements. For starters, the new Chatpad keys are larger yet more tightly-spaced, allowing for a more snug, lightweight design and a smaller footprint. Compared to the old Chatpad, whose curved, molded wings essentially clamped on to the entire lower area of the Xbox 360 controller and significantly reduced the grip on its handles, the new Chatpad seems to “float” below the Xbox One controller as its smaller, bladed wings only adhere to the inner sides. As a result, obstruction is minimal and the handles can be firmly gripped in one or both hands without slipping; most players won’t even notice that the Chatpad is attached after a few minutes of play. 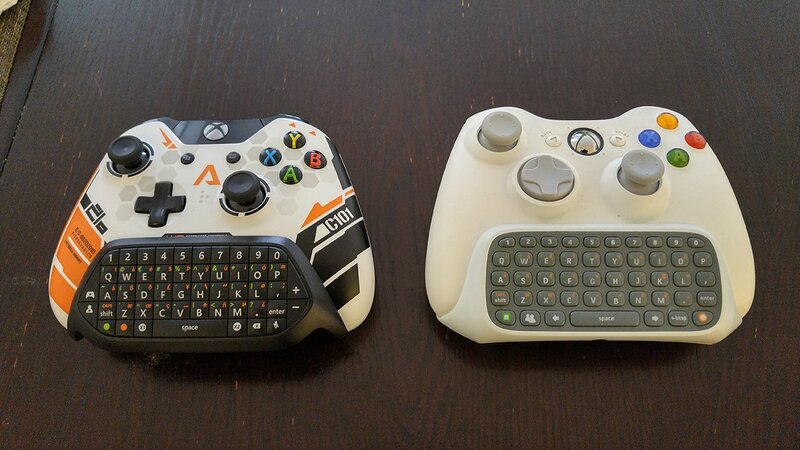 Aside from improved ergonomics, the Xbox One Chatpad also happens to provide a reasonably priced option for gamers to bring their original Xbox One controllers “up to code” as well as offer an alternative way to do what they’re already doing on their console frequently, which is to capture content. Just like the Xbox One Stereo Headset adapter, the Chatpad comes with the 3.5mm jack that is now found standard on the new “Special Edition” and “Elite” versions of the Xbox One controller, which will make it possible to plug in just about any standard stereo headphone or headset into those picky, first-run controllers (which only had proprietary 2.5mm jacks). The Xbox One Stereo Headset adapter is still the best option if you are using your controller with a previous-gen stereo or surround-sound headset (e.g. Turtle Beach X41s), as it comes with the dongle needed for those old headsets to work properly, but if you’ve also been rocking one of the original mono 2.5mm plug headsets that came packed with your Xbox One, not to worry, a new 3.5mm version headset is included in the box with the new Chatpad. The volume, mute, game audio level, and chat audio level buttons found on the Stereo Headset Adapter can be found on the left and right sides of the keypad, so players can adjust their chat and headphone volume settings easily from the controller itself. Joining these new keys are the mysteriously-labelled X1 and X2 keys, which can be found directly to the left and right of the space bar, respectively. At present, these buttons act as alternate shortcuts to the “Xbox, Record That” and “Xbox, Take Screenshot” Kinect voice commands, allowing the player to perform either function with one button press. In practice, it’s not as fast or intuitive as double-tapping the Xbox One controller’s Guide button and then hitting X or Y (which is easier for most players to do without looking down), but it’s a nice option to have if you’re already looking at the keys and are not trying to capture a specific freeze-frame moment. 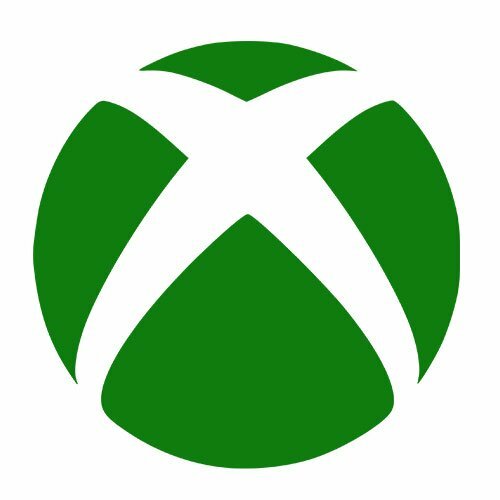 Microsoft apparently plans to add an update in early 2016 that will allow players to customize X1 and X2 via the Xbox One’s Accessories App, which will hopefully allow for custom macros and other shortcuts that will make these buttons infinitely more useful. Of course, all these things are secondary to the Chatpad’s main raison d’etre (and the only reason why anyone should pick one up in the first place): faster, more convenient typing. Whether performing a quick search on YouTube or Netflix, entering a URL in Microsoft Edge, custom-naming your weapons in Fallout 4, chatting with other players in Neverwinter or simply redeeming a code on the Xbox Store, the Xbox One Chatpad leaves the all the Xbox One’s built-in software and app keyboards in the dust in terms of speed and accuracy, letting gamers get back to what they really want to be doing sooner. Gamers who play in dark environments will appreciate how the keypad illuminates when pressed, and when attached to an Xbox One controller connected to a Windows PC, the Chatpad does a solid job as a secondary handheld keyboard both in and out of games (I even used it to type the last sentence in this paragraph in Microsoft Word…you probably won’t believe me, but I did). 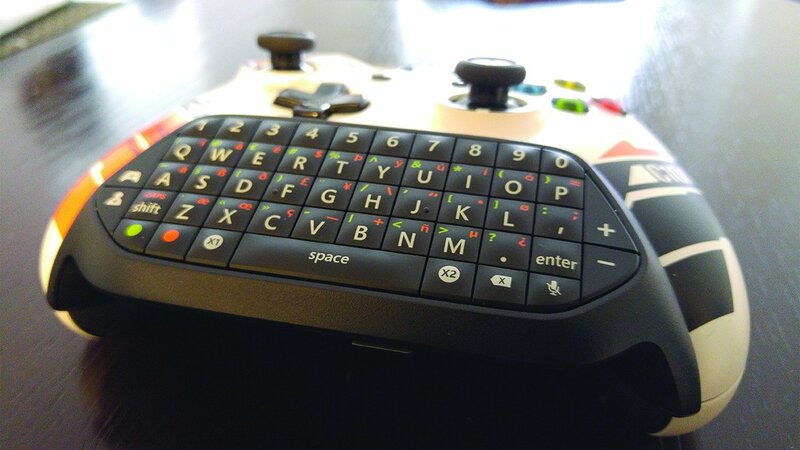 To wrap up, there’s little more that can be said about the Xbox One Chatpad if you aren’t already convinced of its usefulness, but in an Xbox One future that is quickly becoming all but Kinect-less, the Chatpad fills many of the gaps left behind by the once-mandatory camera peripheral, and proves that sometimes the old-fashioned way of doing things is still the best way. If you have a difficult-to-shop-for Xbox One gamer in your life, the Xbox One Chatpad is the perfect last-minute stocking stuffer.